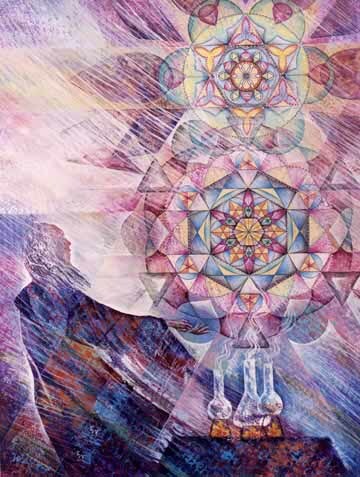 There are many spiritual beliefs associated with the Flower of Life; for example, depictions of the five Platonic Solids are found within the symbol of Metatron’s Cube, which may be derived from the Flower of Life pattern. Theseplatonic solids are geometrical forms which are said to act as a template from which all life springs. According to Drunvalo Melchizedek, in the Judeo-Christian tradition, the stages which construct the Seed of Life are said to represent the seven days of Creation, in which Elohim (God/concept of divinity) created life; Genesis 2:2-3, Exodus 23:12, 31:16-17, Isaiah 56:6-8. Within these stages, among other things, are the symbols of the Vesica Piscis (an ancient religious symbol) and Borromean rings (which represents the Holy Trinity). 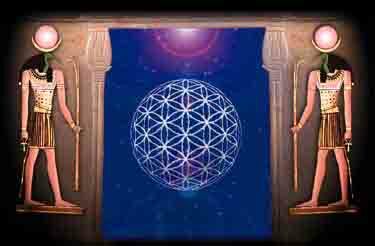 EgyptThe Temple of Osiris at Abydos, Egypt contains the oldest known examples of the Flower of Life. Precisely how old these inscriptions are is unknown. Suggestions that they are over 6,000 years old and may date back to as long ago as 10,500 B.C. or earlier are entirely speculative and not based on any factual reality. The most recent research shows that these symbols can be no earlier than 535 B.C. and most probably date to between the 2nd and 4th century AD, based upon photographic evidence of Greek text, still to be fully deciphered, seen alongside the Flower of Life circles and the position of the circles close to the top of columns, which are over 4 metres in height. This suggests the Osirion was half filled with sand prior to the circles being drawn and therefore likely to have been well after the end of the Ptolemaic dynasty. Possibly five Flower of Life patterns can be seen on one of the granite columns and a further five on a column opposite of the Osirion. Some are very faint and hard to distinguish. They have not been carved into the granite being drawn in red ochre with careful precision. ChristianityChristianity has many symbolic connections to the Flower of Life. Most notably, the Seed of Life and components within the Seed of Life have strong Christian meaning to them. Such components are the Spherical Octahedron, Vesica Piscis, Tripod of Life, and Tree of Life (Kabbalah). 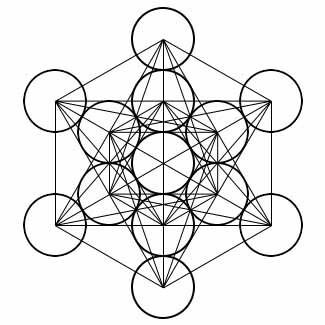 Also the symbol of Metatron’s Cube is delineated by a component of the Flower of Life and has appeared in Christian art. Kabbalah / JudaismThe Kabbalah, which has historically been studied by the followers of Judaism, holds some symbolic connections to the Flower of Life. 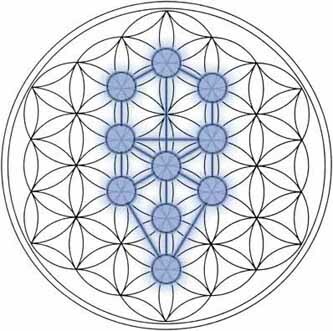 The symbol of the Tree of Life, which may be derived from the design of the Flower of Life, is studied as part of the teachings of the Kabbalah. 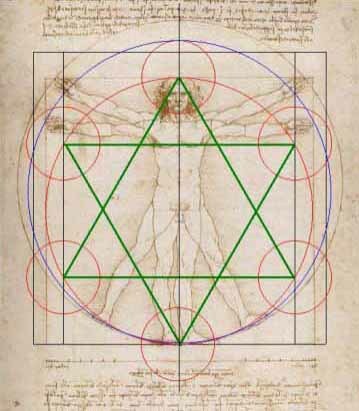 Additionally, the symbol of Metatron’s Cube, found by connecting the centers of each circle in the Fruit of Life, is seen in early Kabbalist scriptures. New AgeIn New Age thought, the Flower of Life has provided what is considered to be deep spiritual meaning and forms of enlightenment to those who have studied it as sacred geometry.There are groups of people all over the world who derive particular beliefs and forms of meditation based (at least in part) on the Flower of Life. 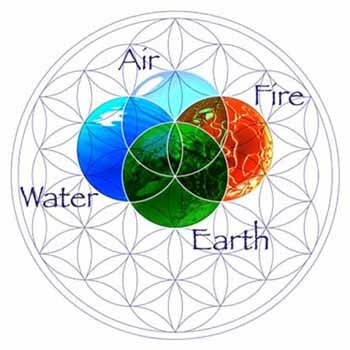 FlowerofLife.org, for example, coordinates workshops at locations all over the world, in which they teach their New Age beliefs, methods, and interpretations of the Flower of Life. Other ReligionsThe concept of the Tree of life has been adopted by some Hermeticists and pagans. The symbol of the Tree of Life may be derived from the Flower of Life. One of the earliest known occurrences of the Vesica Piscis, and perhaps first, was among the Pythagoreans, who considered it a holy figure. 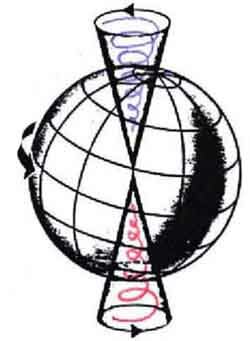 The Vesica Piscis is a basic component of the Flower of Life. AlchemyComponents of the Flower of Life have been a part of the work of Alchemists. 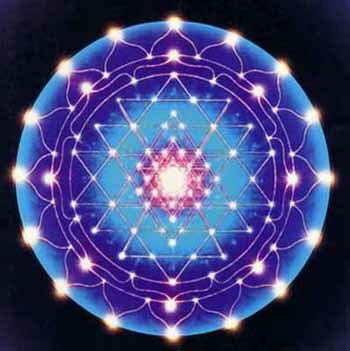 Metatron’s Cube is a symbol derived from the Flower of Life which was used as a containment circle or creation circle. 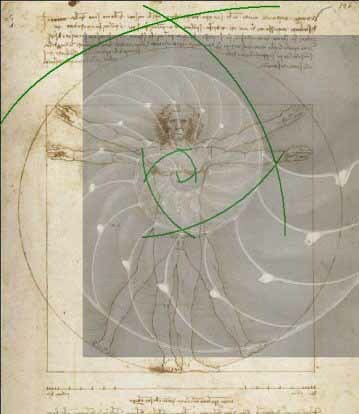 Leonardo da VinciLeonardo da Vinci studied the Flower of Life’s form and its mathematical properties. 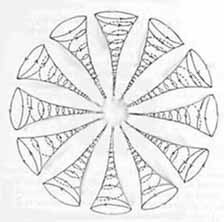 He drew the Flower of Life itself, as well as various components such as the Seed of Life. 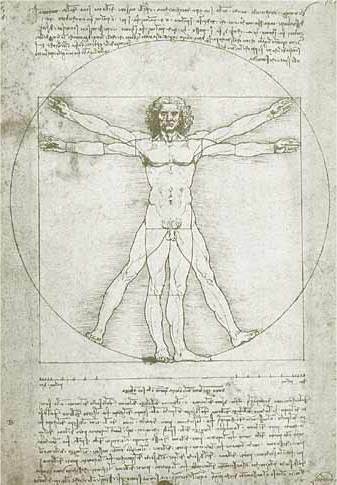 He drew geometric figures representing shapes such as the platonic solids, a sphere, a torus, etc., and also used the golden ratio of phi in his artwork; all of which may be derived from the Flower of Life design. 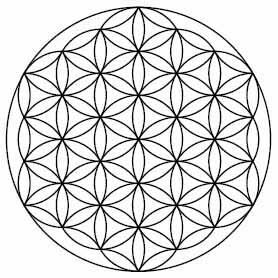 The “Seed of Life” is formed from seven circles being placed with sixfold symmetry, forming a pattern of circles and lenses, which acts as a basic component of the Flower of Life’s design. In the 13th century, a Cabalist group from France succeeded, through geometric interpretation, in dividing the entire Hebrew alphabet into an order using the Seed of Life. The resulting alphabet was remarkably similar to that of the Religious sage Rashi who wrote his commentaries on the Old Testament at that time in France.